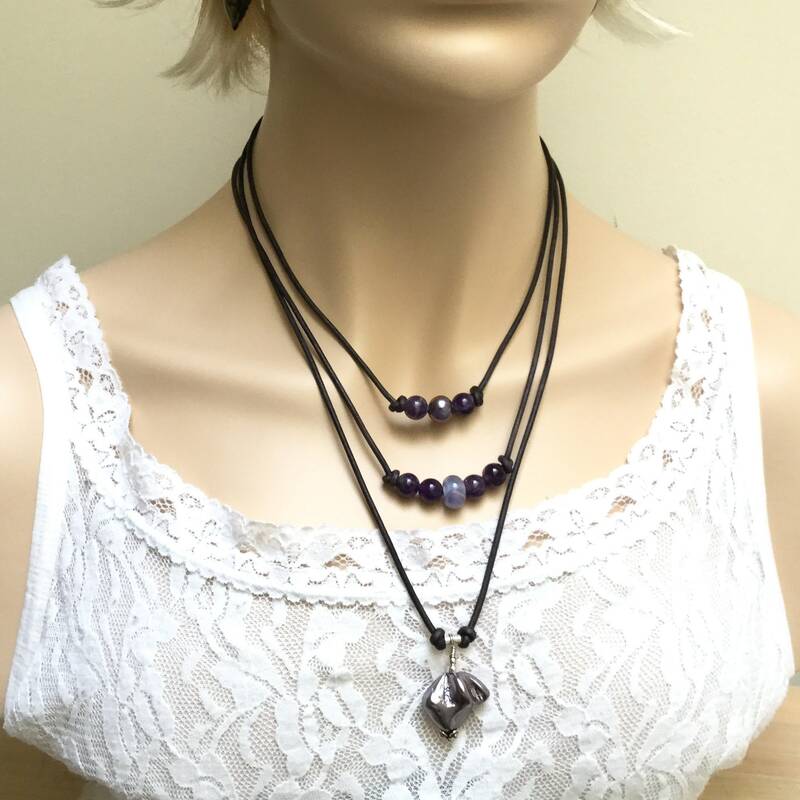 Multi part, multi strand layered leather necklace. 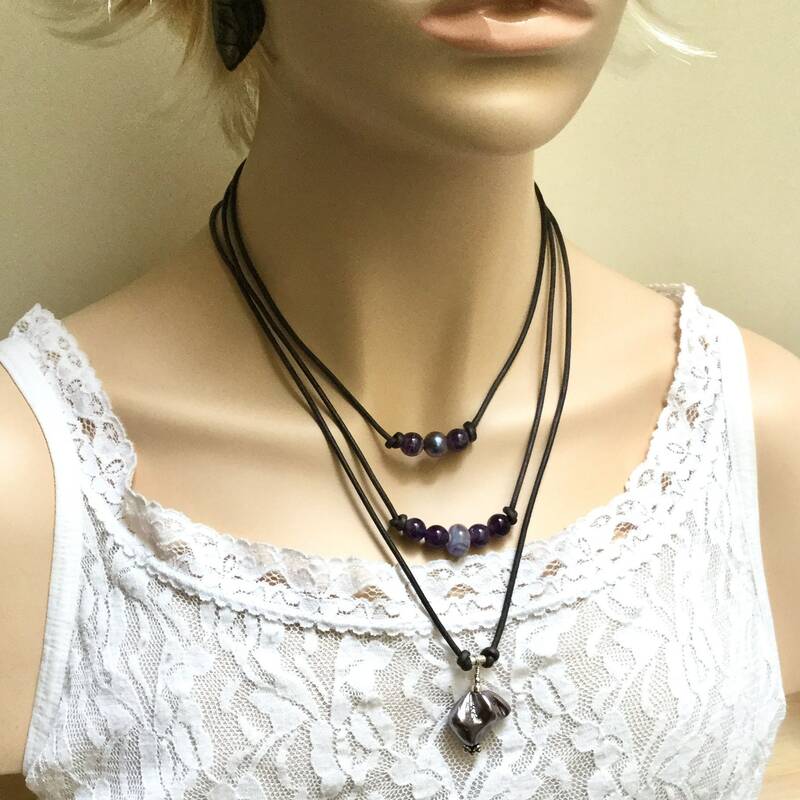 A long pendant and a double strand choker are coordinated to wear together or can be used individually. 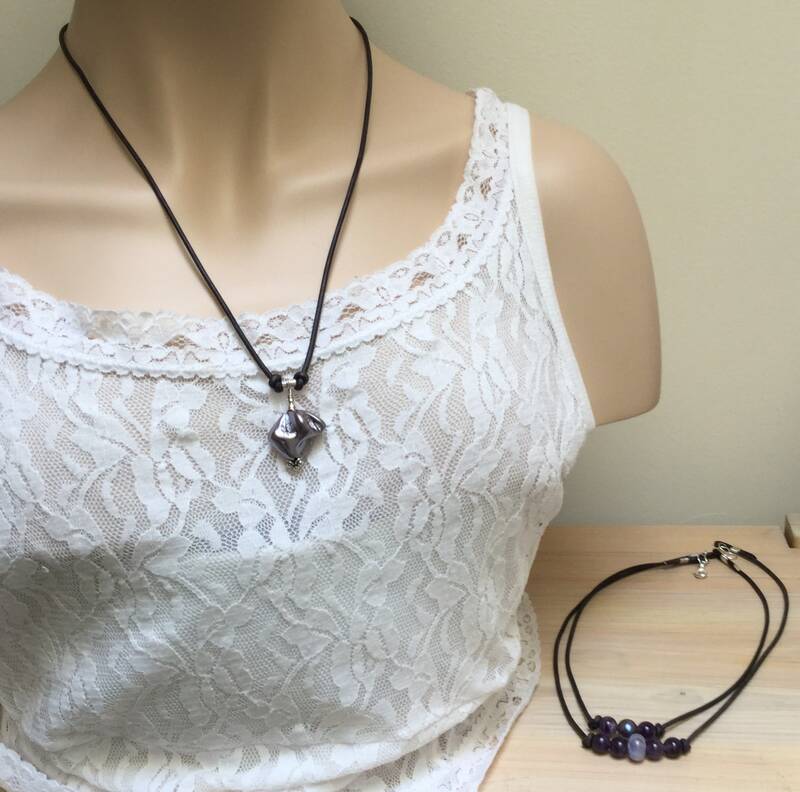 The 2-strand choker or the pendant can each be worn alone. 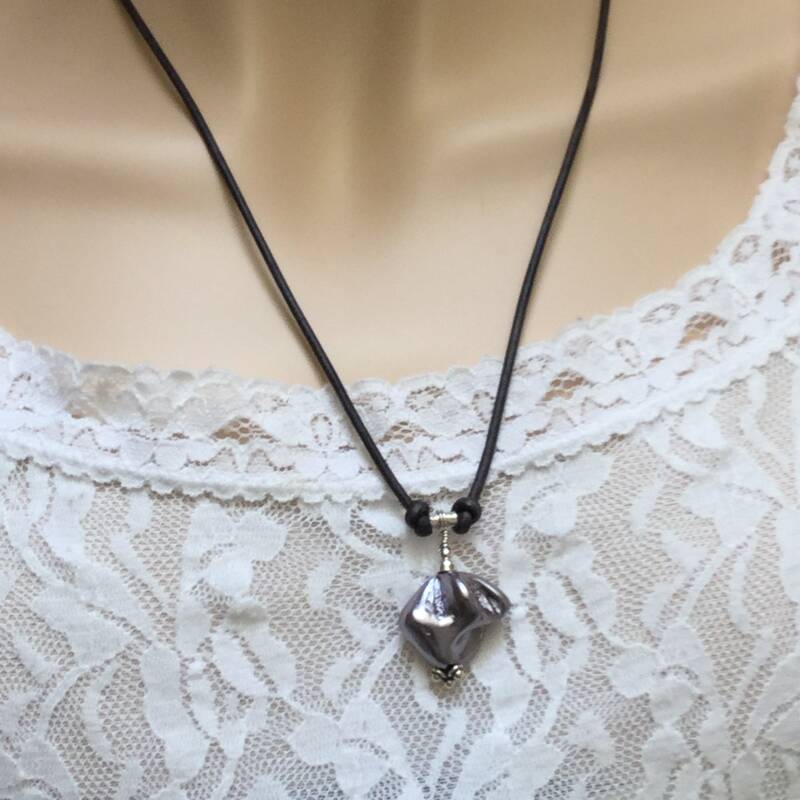 Pendant is 23”long & extends to 25”. 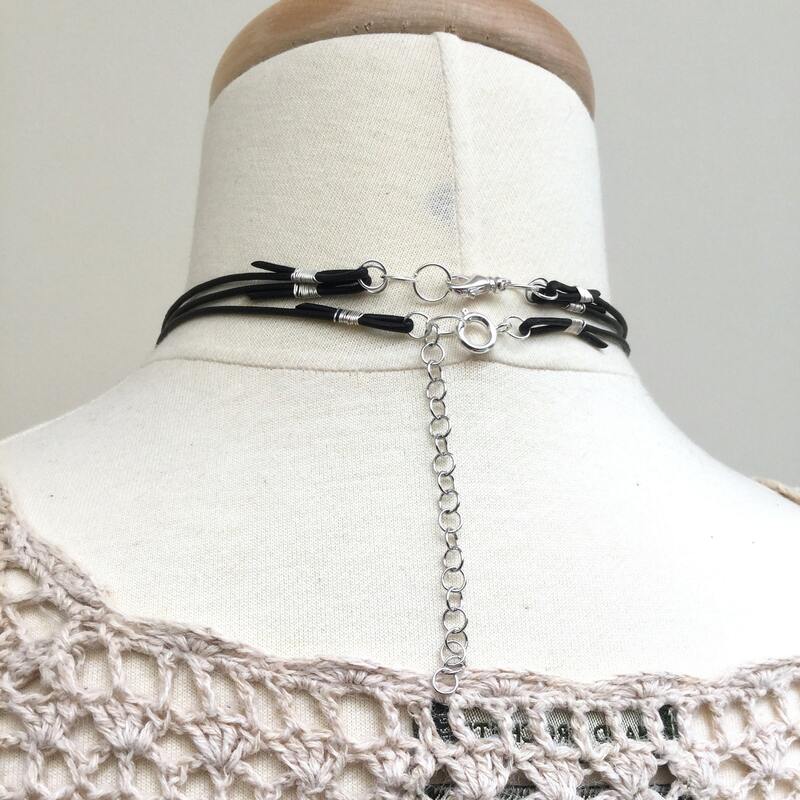 Choker includes a 17” and a 19” layer, fastened together. 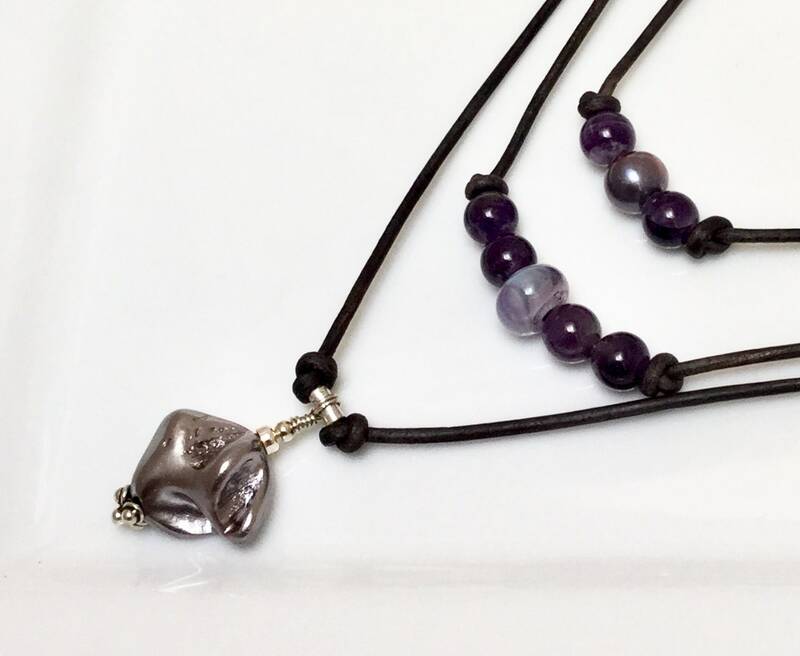 Pendant only is a Black leather cord, a dusty purple shell pearl pendant-in an organic shape-on a handmade sterling silver bale. Closes with a large silver plated spring clasp & extension chain. 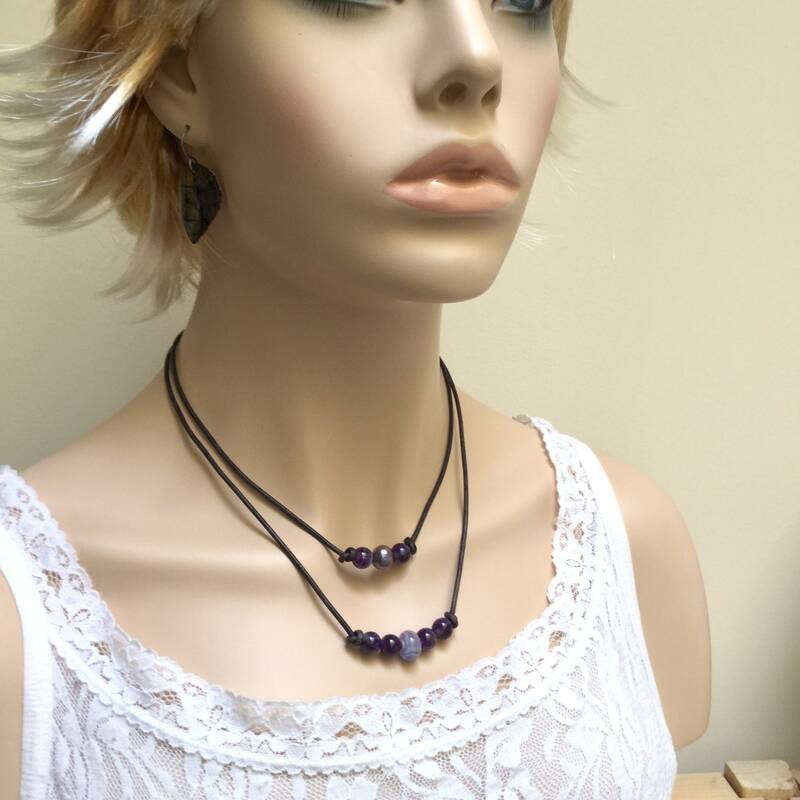 Choker only is a mix of amethyst beads, a peacock pearl, a delicately lavender colored lampworked bead, and a double strand of black leather. Closes with a silver plated brass swivel clasp. 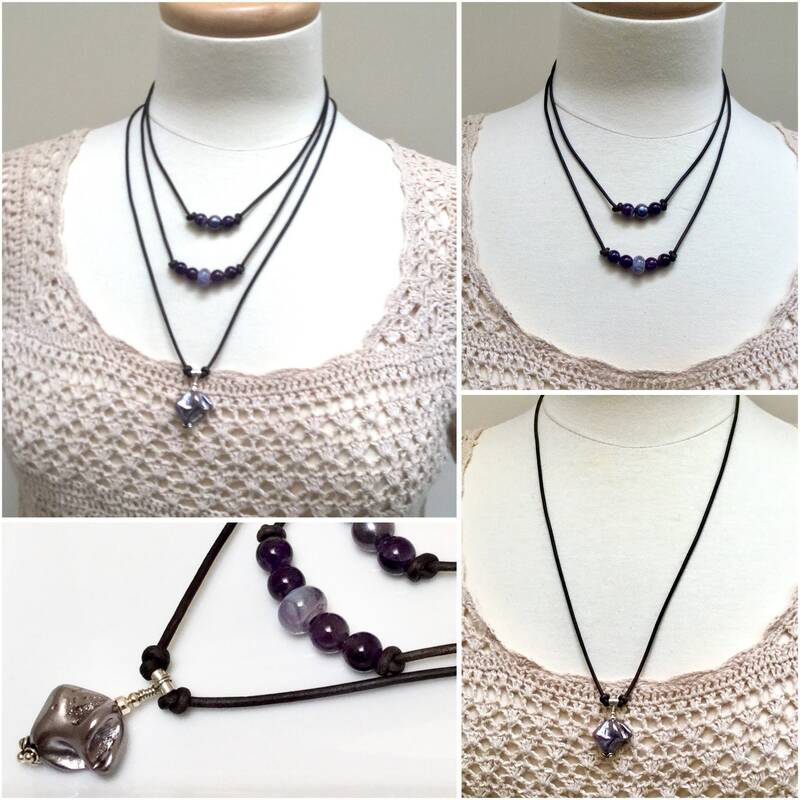 Love this necklace which is easy to wear and goes with everything purplish!